Buying a loft in Los Angeles is one the best ways to experience a truly cosmopolitan lifestyle in an otherwise spread-out city. Lofts in Downtown Los Angeles are made from converted warehouses and trade buildings. Lofts may also be found around town in commercial areas. Anywhere you find a loft for sale you'll be conveniently close to the kind of amenities that one could expect in a big city. Search all lofts for sale and real estate listings in Los Angeles, CA below. For information about lofts in Los Angeles or schedule a private tour, contact our Los Angeles loft real estate experts today. Register for a free account to receive email alerts whenever new lofts come on the market. Los Angeles County has several luxury loft condominium buildings concentrated in different neighborhoods, each with a varying degree of urban density and lifestyle opportunities. 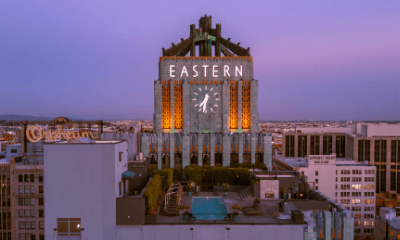 Downtown Los Angeles has a high concentration of warehouse lofts and gives home buyers the opportunity to immerse themselves in a true metropolitan living experience. Everything is close like entertainment venues (L.A. Live, Staples Center, museums and concert halls), restaurants, bars, shopping, and nightlife. Central Los Angeles (Hollywood and West Hollywood) is also a good area to hunt for residential lofts. While not as dense as Downtown, neighborhood amenities are also right outside your building. You'll be close to hiking, and the neighborhood parks are bigger (easier to own a dog here, for sure). Buying a loft on the Westside (Santa Monica, Venice, and Marina del Rey) offers the convenience of urban living plus the beach nearby. Living near that water has a true Southern California vibe. The Westside is perhaps the best place to balance of a live-work lifestyle. When available, neighborhood information is included along with local schools similar homes for sale nearby. If you're buying a loft, our full-service Realtors are at-the-ready to assist you. If you're selling a loft in Los Angeles County, our listing agents will provide current real estate market data, a list of comparable properties (comps), and a highly-tailored marketing plan to make sure you get the best price.